WE ARE LOOKING FOR A FOREVER FOSTER HOME FOR APRIL – YOU GIVE HER A FOREVER HOME, AND WE PAY ALL OF APRIL’S VET BILLS! We are looking for a forever foster home for April. This means that an adopter will give April a forever home, just as adopting a new feline family member, however Goldie’s Cat Rescue will pay all of her veterinary bills. This is perfect for those who have all the love and a perfect home for a cat just like April, but may have worried about the cost of veterinary bills. April is a loving and gentle kitty who loves human companionship. There’s nothing that she loves more than a good cuddle and your love. April will follow you around like a lost puppy and will run up to you, meowing for attention. April is absolutely perfect with the two young boys in her foster home, and so we will consider homes with babies and young children. April would like to be an only kitty, she has never lived with one before and likes to be the feline queen of the household, and she also doesn’t like dogs. She is very clean, and litter tray trained. She also uses her scratching post. April needs a new home after sadly her owner passed away. April has hyperthyroidism. She is otherwise very healthy. She only has one tablet a day to manage her hyperthyroidism, which she takes very well with no problem, and she will need a blood test to confirm her T4 levels approximately every 3-6 months, however as mentioned above, Goldie’s Cat Rescue will cover these costs. To be eligible, you must use our vets, at either Romford, Dagenham, Beckton or Chadwell Heath. 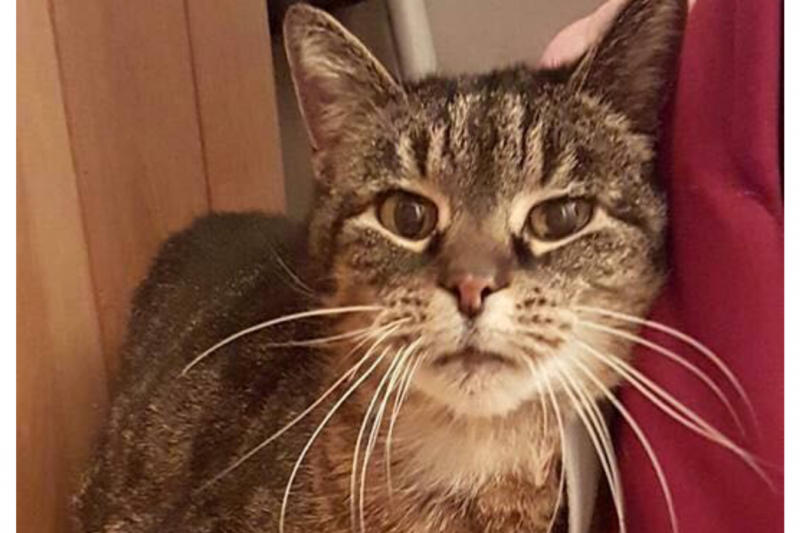 April is 14 years young, and is in a foster home in Bexeyheath, near Dartford. Is April your new feline companion?